Movie activity based on the new Sherlock Holmes. Speaking, vocabulary, and comprehension practice. Conversation activity based on common basic nouns with more advanced verbal meanings. 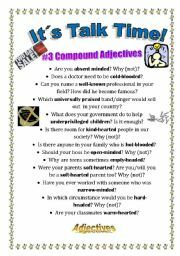 Aimed at students who want to expand their good-quality vocabulary. I hope you find it useful. Glossary included. Cheers! 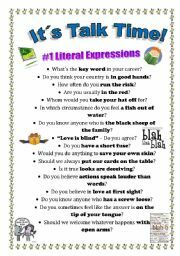 Conversation activity based on expressions that translate literally or almost literally. Conversation activity based on compound adjectives related to the body. Glossary included. 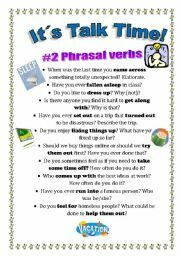 Conversation activity based on Phrasal verbs. Glossary included. 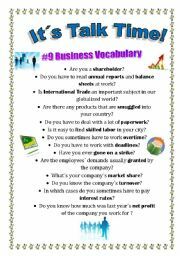 Speaking activity using business terms. Glossary included. Cheers! Movie activity based on the movie Meet the Parents. The handout consists of listening,speaking and reading activities. Adapted from the original idea by James Neufeld. 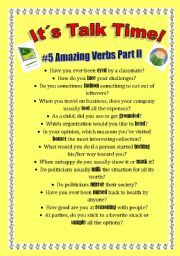 Second part of a conversation activity based on basic nouns everyone knows, but which have a lesser known (yet useful) meaning when used as verbs. Cheers! 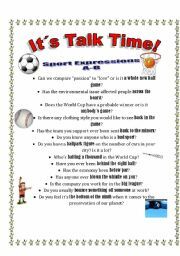 Conversation activity based on sport expressions with letters A and B. Glossary included. Cheers! 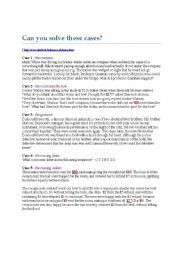 Toefl Strategies Section 3 - Written Expression and Reading Comprehension. 17-page ppt on how to distinguish and correctly use future with BE GOING TO and WILL. Toefl Strategies Listening Parts B/C. An explanation followed by examples on how to use these determiners. 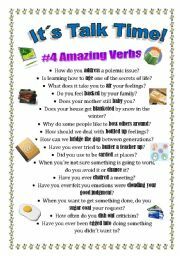 12-page ppt with explanation plus examples on how to use the simple past with regular and irregular verbs. An explanation followed by examples on wh questions using simple present. An explanation followed by examples on Adverbial Clauses of time. An explanation followed by examples on inversions. 14 pages. Toefl Strategies Section 2 - Structure. A 22-page exercise on Toefl. Examples as well as the key are provided.